TZPILE implements the well-known method of soil-structure interaction, commonly called the t-z method, where t-z and Q-w curves are used respectively for load transfers in side resistance and end bearing. The t-z and Q-w curves can be internally-generated for both driven piles and drilled shafts with the input of information on the supporting soil and on the geometry of the pile. Curves of short-term settlement as a function of applied loads are essential for some engineering computations; for example, when refined input is needed for the analysis of piles in a group. 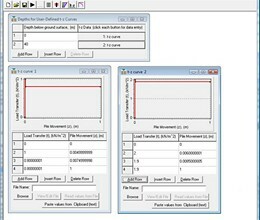 If a field-load test is performed, the computed curves can be "calibrated" by modifying input information to TZPILE to reach agreement with the experimental curves. 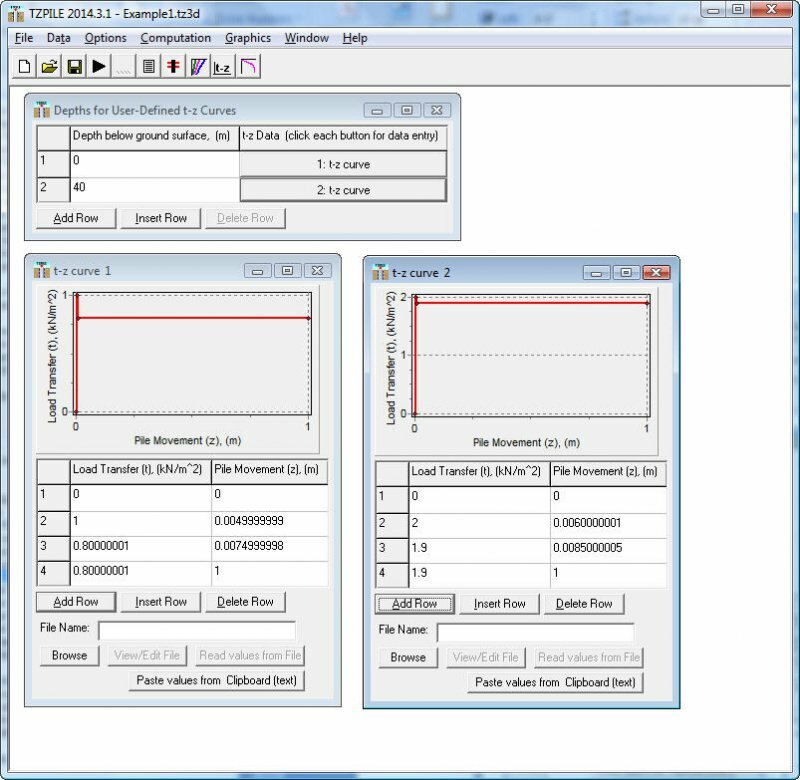 The calibrated, site-specific curves can then be used with TZPILE to design the production piles, which may vary from the test piles in geometry and stiffness. The main output provided by TZPILE is pile-head movement as a function of applied load. However, for any given load, the program can also present the load and movement along the length of the pile. In addition, the program allows the user to specify the settlement profile if the user would like to consider negative skin friction caused by downdrag. The program will use iterative solution to find the soil reaction based on the relative movement between the soil and the pile at the depth of interest. The neutral depth, which separates the negative and positive skin frictions, will be generated. * TZpile download link provides demo version of the software. No one has rated TZpile yet. Be the first to rate this product.